3CSN’s Reading Apprenticeship Project is a community of practice that is seven years old and thousands of educators strong. As we work to create equitable classroom and campus environments for all of our students, we greatly value the opportunity to engage in sustained professional learning about how to support the development of disciplinary literacies. The courses and seminars developed by WestEd’s Strategic Literacy Initiative are amazing resources! But those of us invested in Reading Apprenticeship—or just curious to see what the fuss is about—also need a space where practitioners in the field can share their innovative and emergent work with this dynamic framework. The Annual Statewide Reading Apprenticeship Conference is designed to meet that need. Coming up on May 11-12 at the Kellogg West Conference Center in Pomona, we will be putting on our Third Annual CA Statewide Reading Apprenticeship Conference. 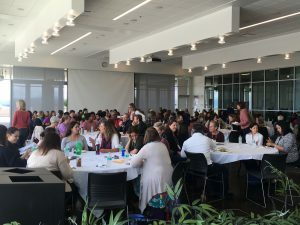 On Friday, you can choose from a range of full day (10:00-4:00) immersive workshops, while on Saturday, educators from across California, across the disciplines, and across educational segments (high school, CC, and CSU) will present 90 minute interactive workshops highlighting their original work with the Reading Apprenticeship framework in their settings. We will have sessions addressing STEM, ESL, and online classrooms and contexts, sessions for tutors and for those who work with tutors, sessions for campus leaders, and sessions focused on the link between equity and academic literacies. Amazing! These are my people! I truly felt so excited to learn, connect, network – so inspiring and meaningful. There were amazing workshops – I had such a hard time choosing between them! I found networking and sharing with other college level instructors was stimulating since I teach at a very small campus. The workshops on metacognition were very helpful in providing methods for me to implement this practice more consistently in my teaching. Making new connections – networking – I have already followed up with two people I met. RA PD feeds my “teacher soul” – truly. It is so amazing to have time for meaningful discussions, learning. I want all teachers to know about this opportunity! The conference not only validated many strategies that I use in my classroom, but it provided a framework and a community of practitioners. For me as the reading teacher at my college, it was great to be able to meet with all the other subject area instructors who are incorporating reading instruction into their courses. It will help me in my efforts to bring RA to our campus and to help the subject area instructors who come to me for guidance. Also, I will be doing a learning community with my reading class and an anthropology class in the spring and being able to speak with another English instructor who has already done something similar was so helpful!!! We hope you will consider promoting this high leverage event on your campus as one way to start a new conversation (or re-energize a long-standing one) about how to help our students empower themselves through their educational experiences in our institutions. Interested in proposing a session? Submit a proposal here: https://www.surveymonkey.com/r/RA_Conference_2018_Proposal. The submission deadline is January 22, 2018.